This lovely port town dates back to prehistoric times, so there's plenty wow-factor and it's just 50 minutes from Rome. The coastline is a welcome break from chaotic Rome and shouldn't be overlooked as an area to just pass thru enroute to elsewhere. Steeped in history and lots of pretty shops, it's a real pleasure to stop and explore this delightfully different town. This Renaissance era fortress was named after Michelangelo who designed part of the main tower. The San Sebastiano bastion has an underground secret tunnel which served as an escape route in the past. This former Jewish ghetto hosts a dazzling array of bars, cafes, and restaurants. The buildings in this area were formerly inhabited by fish workers from Naples, but still was mainly comprised of a Jewish population. Why not have a stroll around this pleasant pedestrian shopping area lined with an array of high-end classy stores and goods to ponder over? Go on, you're on holiday! A sight to behold, the neoclassical facade has been completely restored and modernized after lengthy renovation work over the years. The theatre now can be enjoyed by large audiences ready for a great show! Just off the theatre end of Corso Centocelle is a market worth exploring on vacation, piled high with fish, fruit, vegetables, gastronomic specialities, and other delicacies -- its a sight for the senses. The Etruscans were the first to value the waters of these preserved thermal baths, renowned for their therapeutic qualities. They're still worth delving into, even without water. It feels quite exotic walking along palm tree-lined promenades. Sculptures, flower beds, and ice cream are in abundance waiting to be enjoyed. Are there good transport links here from Rome? Your best bet is to rent a car or take the train. There are two or three direct local trains each hour, including the fast track express, between Roma Termini (main station) and Civitavecchia. The journey takes just over an hour. Is it worth staying overnight here or just a day trip destination? Most people tend to see this as a place to hang out and do a little sightseeing while enroute to another destination, so there may not be the stationary atmosphere of solitude you may desire from a holiday location. That said, it is a pretty place, so if you fancy staying longer, there's countless accommodation options, including: 5-star hotels, budget priced hotels, hostels, and B&Bs. This area tends to not be overwhelmed with tourists, so any time of year is good for enjoying the sights without large crowds. In terms of enjoying sightseeing in ideal temperatures -- spring and fall provide cooler temperatures than the summertime. 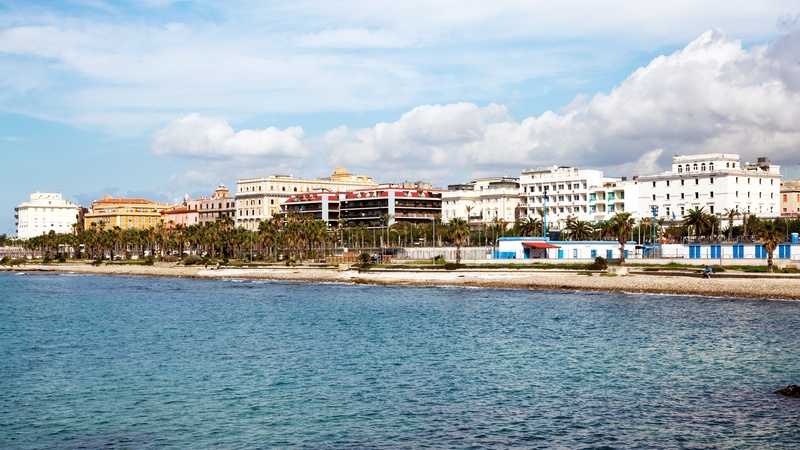 Want to discover all there is to do in Civitavecchia? Click here for a full list. We used the bus transfer from the port Civitavecchia to Rome to make a walking tour in the downtown by ourselves. 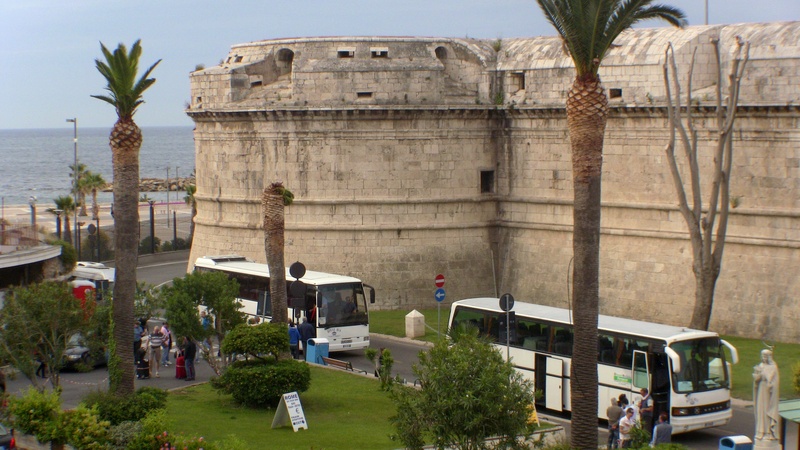 The organization of the bus transfer was without problem, the bus stop was close to the Angels Castle and Vatican. The main attractions of Rome can be reached by walking. We can recommend this service. Manilo was an excellent driver and guide. Great timimg, communication, and personality of our driver Manilo. He couldn’t have been more helpful and accommodating during our $ he tour of Rome. Highly recommended. Very courteous and professional. The driver, Andrea, was at the port early waiting and very nice, professional, educational. Excellent English. Beautiful large SUV, very clean. Andrea is very knowledgeable about the area including Rome and had excellent ideas on how to spend our day in Rome. We were able to see the main attractions in Rome. Bus was very comfortable. Lady was very good with her description of the city. Too much for one day. We were almost running all the time.